Four members of the Site Selectors Guild shared their thoughts on where Butte's economy could grow at the Butte Public Archives on July 13, 2018. (L-R) Jay Garner, Rajeev Thakur, Dean Foote, Jerry Szatan. If Butte is going to compete as a location for new businesses, it needs to grow its workforce, its service sector, and work on its appearance. That’s according to a group of outside experts. Butte’s Economic Development Team paid a group of consultants who help industries find the right location to set up shop and expand their market to spend a few days touring the Mining City. 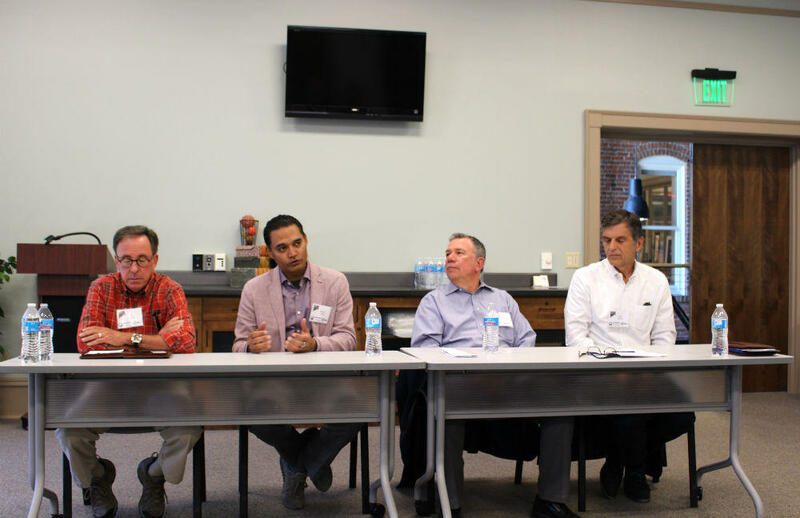 They met with business owners, local leaders and economic developers. On Friday, they shared their observations at the Butte Public Archives. One challenge the consultants from the Site Selectors Guild identified was Butte’s small workforce of about 17,000 people in Butte-Silver Bow County. “The question in my mind of course is, are there enough people? Are there enough skills to get the jobs done? And I don’t have the answer to that," said Deane Foote, a consultant from Arizona. Jay Garner, a consultant from Atlanta, said Butte is well-positioned to attract more manufacturing, especially with its industrial parks, rail access and entrepreneurial spirit. But he also said the community needs to work on its aesthetics, especially Uptown. “You’re blessed in that you have all that infrastructure. You’re cursed in that all that infrastructure was built when you had so many more people than you have today. How you take that property and redevelop it, repurpose it, is a key to your future success. Because the downtown is the living room to any community," Garner said. The consultants also mentioned the importance of growing the service sector and promoting quality of life, honing in on what story Butte wants to tell about itself, and bringing more developers here to see it in person.